I woke up this morning to instagram and facebook posts all about girl power, girl bosses, and women's rights. Today is the day that all over the world people are getting together to celebrate women. The theme of this year's International Women's Day is #PledgeforParity. Check out their website HERE and read all about the campaign, how you can become involved, and activities in your area. Today, I would like to celebrate all the strong, amazing, and diverse women I know. Everyday I am in awe of all the accomplishments I see from women all over the country. Mothers, athletes, daughters, wives, sisters, friends, regardless of our title or status we are all women. Let's not compare ourselves to each other. As the saying goes, "comparison is the thief of joy." As women, we have so much to overcome. We may feel we need to work harder to prove ourselves. And, yes, this is very true, especially in the workplace. But, we should not have to work so hard to prove ourselves to each other. We are all doing the best we can. We are all working hard. We are all making the best choices for ourselves. As mothers, our choices, our actions, make an impact on our families. Our children look up to us and it's up to us to be the best we can be for them. This is pressure enough. Let's not pressure ourselves even more with comparing what we do to what anyone else is doing. Let's not tear each other down, but build each other up. There is no room for that in our lives. Why wast time with criticism, when we can empower each other instead. Let's show compassion, love, and acceptance. It is so much easier to love, than hate. Our daughters will thank us for it. To all the women in my life: Thank you! Thank you for building me up, for pushing me further. Thank you for sharing a little or a lot of your life with me. Thank you for running with me, for celebrating with me, for laughing with me, for putting up with me, and mostly, just thanks for allowing me to be me and for always being you. XO! Posted in Inspiring Women Series, Motivation and tagged with international women's day, inspiring women, inspiration. March 8, 2016 by Jessie Emeric. Q. Have you always led an active lifestyle? If not, what motivated you to make changes in your lifestyle? A. I have pretty much always led a very active lifestyle. I started swimming competitively when I was six years old all the way through high school. As an adult, up until I had my two children, most of my activity was in the gym, either doing group fitness classes or running on the treadmill. When I had my two kids, I took a break from exercise (other than lots of walks around the neighborhood) simply because I just couldn't find time to workout while taking care of my babies. Now that they're a little older, I've finally been able to fit it into my schedule and running has been an integral part of that. Between signing up for races and being part of an online healthy moms group, I get a lot of motivation to put in the work every day. Q. What is your favorite race distance and why? A. My favorite race distance is a 10k. I really enjoy the challenge of doing half marathons (which has been my longest distance to date), but it is HARD! I feel like with a 10k, I can go fast without burning out too early. Q. What inspires you to want to run a half marathon? A. Ever since I started running, and got a couple of half marathons under my belt, people kept asking me when I was going to do a full marathon and I kept saying, "Never!" I just had no desire. 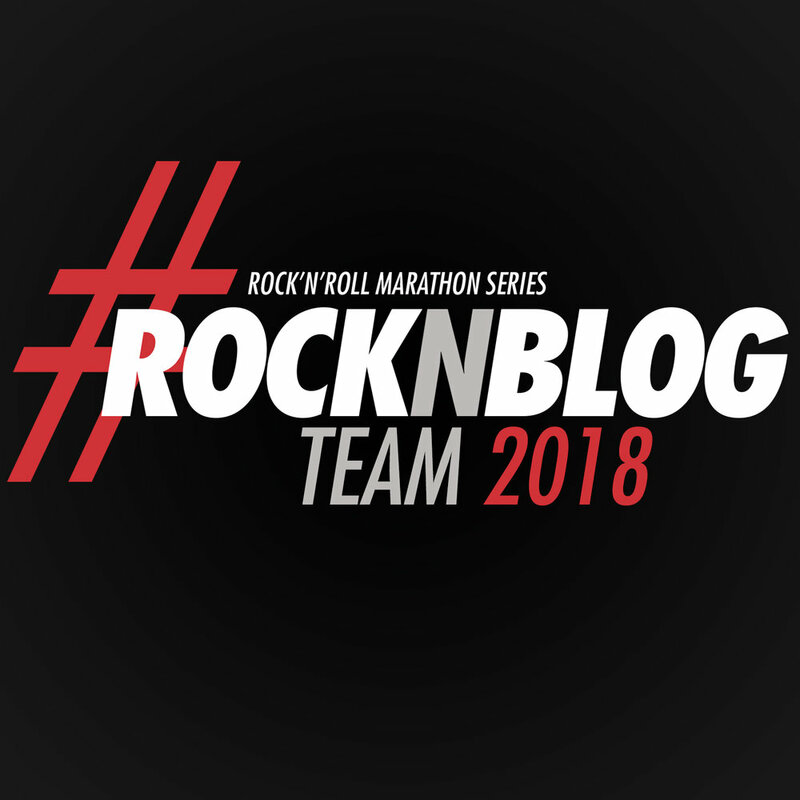 Then one day, a girl from a local running Facebook group I'm in posted a link to a particular marathon saying that it should be on every runner's bucket list. I was intrigued and started looking into it. I read up a lot on it, and watched some videos and that was it. I was hooked. I want to run it so bad (I'm not saying which one yet because I don't want to jinx it until I have my registration in hand). I absolutely love running anywhere that is picturesque and has an amazing atmosphere. This marathon I am considering (if I can get into is, as it is a very popular one) fills both of those categories, so that will be very inspiring to me. Stay tuned to my blog to see which one it is and if I get into it! Q. 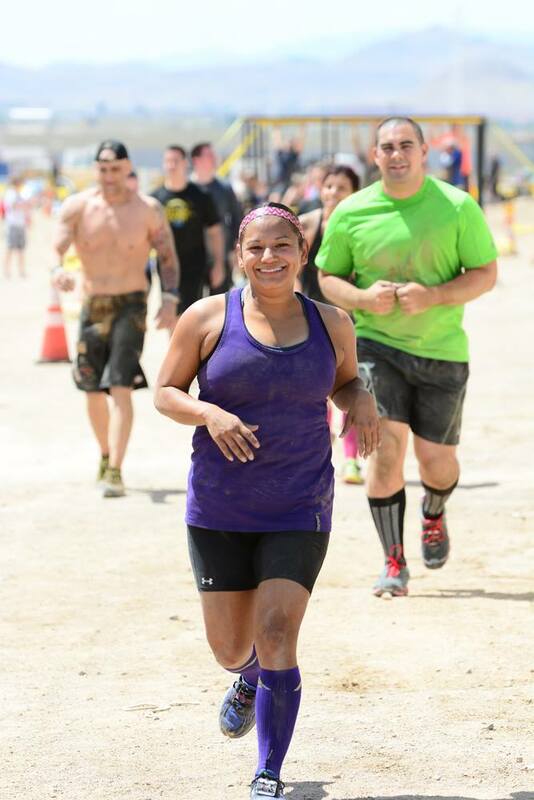 During your training, are there any obstacles you had to overcome? A. Probably the biggest obstacle is some GI issues that I suffer from. As much as I love running, running does not always love me. Most of the time, I can control it, but every so often, I have a bad day after a run. It is really horrible because it makes me sick for several hours after running, which is really hard when you're trying to take care of two kids. I've tried a lot of different things to help with it, which work most of the time, but not always. However, I just can't imagine not running, so I've learned to deal with it. Q. Finding or making the time to run is hard. Do you have any tips that have helped you make exercise & running part of your routine? A. Make a schedule and stick to it. Plan out your week on Sunday and write it down so you don't even have to think about it. I also like to get my workouts in first thing in the morning. It's hard sometimes waking up at 4:15 or 5am, but your body will adjust. Most the time I actually wake up before my alarm goes off. Oh, and coffee...lots of coffee! Q. Overall, what is your favorite race experience? A. I am very social and love running with other people. I recently ran (and won 1st place overall for the women) the Wildland Fire Awareness Trail Half Marathon. One of my running friends (who was injured at the time) gave her bib to her husband to run in her place. He and I run about the same pace and ended up running the entire race together. It was so much fun running it with someone, especially since we were able to push each other and not worry about holding each other back. I wish I had a running partner for every race! Q. If you could only give someone just one piece of advice to running, what would it be? A. Do not worry about your time. Everyone runs at a different pace and when it all comes down to it, 3.1, 13.1. 26.2, they're all the same distance whether you're a 6 minute miler or a 16 minute miler. And also, it's okay to walk! I learned this very quickly when I started doing races. The only person you are competing with is yourself. Q. When you're not busy working out what kind of things do you like to do for fun? A. I love going out and doing things with my kids. I'm definitely an adventurous mom, so on my days off from work, we're always doing something. I love all that Las Vegas has to offer. Despite what many people may think, it actually is a very family friendly city and there are so many fun things to do with your kids here. I also love reading, cooking, drinking wine and traveling. Q. What are some of your favorite/must-have running products you can't live without? A. First and foremost my Brooks. I fell in love with this brand after it was recommend by several runners in my healthy moms online group. I had so much pain in previous running shoes and these have just been amazing. I love my Amphipod hand held water bottle and my Garmin Forerunner 10 as well. I swear by Target running attire and I love my Sparkle Athletic running visor. I love trying out new running products! Posted in Fitness, Inspiring Women Series, Motivation, Running and tagged with runner, running, brooks running, brooks run happy, interview, inspiration, inspiring women. June 19, 2014 by Jessie Emeric. Q. What motivated you to make changes to your lifestyle? A. I have always tried to lose weight and get fit, but would quickly get discouraged and give up. In the fall of 2012 I was picked to be part of a challenge hosted by Fighter Diet and I fell in love with the workouts and diet. I loved how working out made me feel, and then I realized that I wanted to set a good example for my children. Q. During your transformation journey, what has been the hardest thing(s) to overcome? A. The hardest thing to overcome during my transformation journey has been overeating. I just can't stop at a bite, I have to eat the whole thing. It's hard work, but it's getting there. Q. What do you do now to help motivate and inspire others? A. I hope that I inspire others with my Facebook page and my blog where I write about my journey - both the good and the bad. I want others to know that there isn't just a "before" and an "after" picture, there is a lot of work in between, and it's ok to talk about it. Q. Finding or making the time to workout is hard. Do you have any tips that have helped you make exercise part of your routine? A. To make exercise a part of my routine, I schedule it into my day just like if it were a doctor's appointment. A. For fun I love to take pictures, go running the local trails with my dogs Lola and Lily, horseback riding, and I love to read. Q. If you could only give people one piece of advice, what would it be? Q. What are some of your favorite/must-have workout products you can't live without? A. My must-have workout products would be my iPhone, which isn't a workout product, but I can't workout without my music to motivate me. Posted in Inspiring Women Series, Running, Fitness and tagged with inspiration, inspiring women, weight loss, fitness goals, fitness, healthy, healthy living, running, runner. April 23, 2014 by Jessie Emeric.